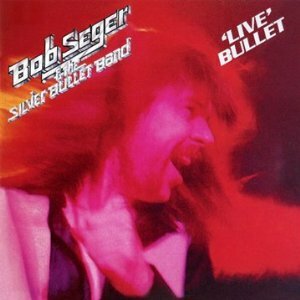 Live Bullet is a live album by Bob Seger and the Silver Bullet Band in 1976 in his home city of Detroit, Michigan. This album turned Seger from a big name locally into a well known international rock’n’roll singer thanks to the intense, energetic performance captured here. After Live Bullet he went on to release best selling studio albums like Night Moves and Stranger In Town. I remember in 1976 this album came out and it received a lot of critical praise. It has been recommended on a couple of the best live albums ever lists. It also has rave reviews at Amazon – it really is very good. What Do You Think About Live Bullet by Bob Seger? If you’ve heard this album, I’d like to know if you think that it lives up to its reputation. I will be writing a full review soon. I ask readers to help me to find the best live albums ever by voting in polls. If you don’t see your classic rock favourites in that poll, I have a second division poll and albums that get enough votes will be promoted. Again I have a second division hard rock poll. This entry was posted in 1970s Live Albums, Classic Rock Live Albums, Singer Songwriter Live Albums and tagged 1970s classic rock, 1970s Songwriters, 1976 live albums, Bob Seger Live Albums, classic rock 1976, Live Rock Albums With Saxophone, SS S by Paul Simister. Bookmark the permalink.